No. 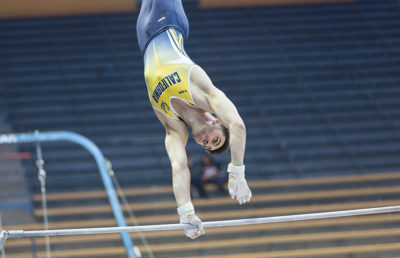 9 Cal men’s gymnastics was off to a strong start this season after a high-scoring affair at the Cal Benefit Cup opening weekend. The Bears’ performance earned them a score of 390.600 and a top-10 spot on the CGA’s weekly National Coaches Poll, not unexpected after their No. 10 spot on the 2018 CGA Preseason Coaches Poll released in late 2017. This upcoming Saturday marks the Pac-12 Invitational hosted this year by Stanford. The Bears have faced off with the Cardinal twice already this season. 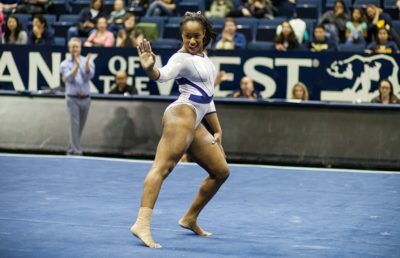 They were edged out at the Cal Benefit Cup after their score of 390.600 came in just behind Stanford’s 402.150. 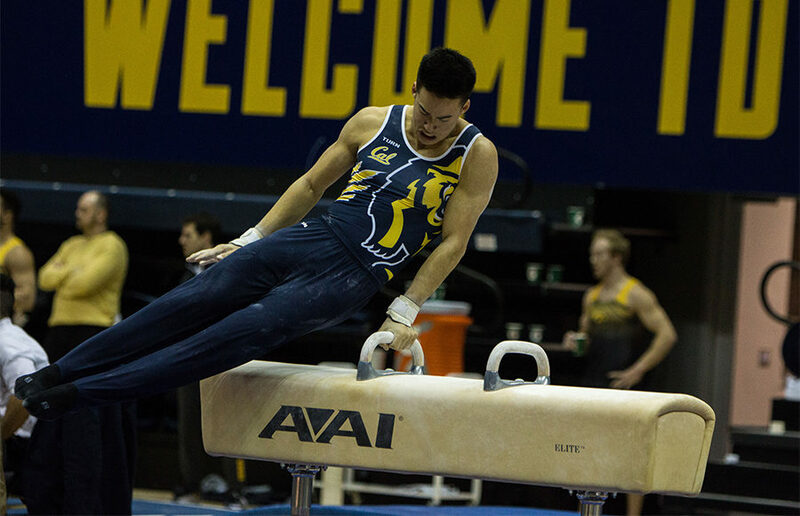 Individually, Cal junior Aaron Mah came in second just behind Stanford senior Robert Neff in the all-around competition. At the Stanford Open on Jan. 27, the Bears’ score of 395.050 came in just behind Stanford’s 414.100. Cal, however, easily breezed by No. 15 Washington, which posted a score of 368.300 on the same day. That tournament marked a noticeable improvement in Cal’s performance, especially while on the road. Two weeks later, the team is hopeful at its chance to flip the script on the Cardinal and make up for last month’s losses. This goal seems even more possible with the recent success of team leaders Mah, senior Yordan Aleksandrov and freshman Shane Sadighi. 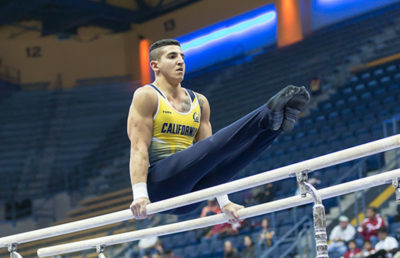 Sadighi finished fourth at the Stanford Open with a score of 77.100, already improving upon his collegiate debut score of 75.250. His early role as an all-arounder for the team has so far proved to be a success. Sadighi, now ranked No. 21 in the nation, also recently qualified for the annual Winter Cup Challenge in Las Vegas after competing in only two tournaments in his college career. From Feb. 15-17, the all-arounder will have the chance to earn a place on the U.S. Men’s National Team. Last Saturday in Oklahoma, then-No.4 Stanford was able to overcome No. 2 Nebraska with its second-best team score of the season, but was defeated by No. 1 Oklahoma. Despite the win over the rival Cornhuskers, Stanford’s only competitor to take an event title was No. 1-ranked Neff on the high bar. If the Bears stay consistent with their recent improvements, all-arounders Mah and Sadighi could be the edge the team needs to finally beat their rivals this weekend.